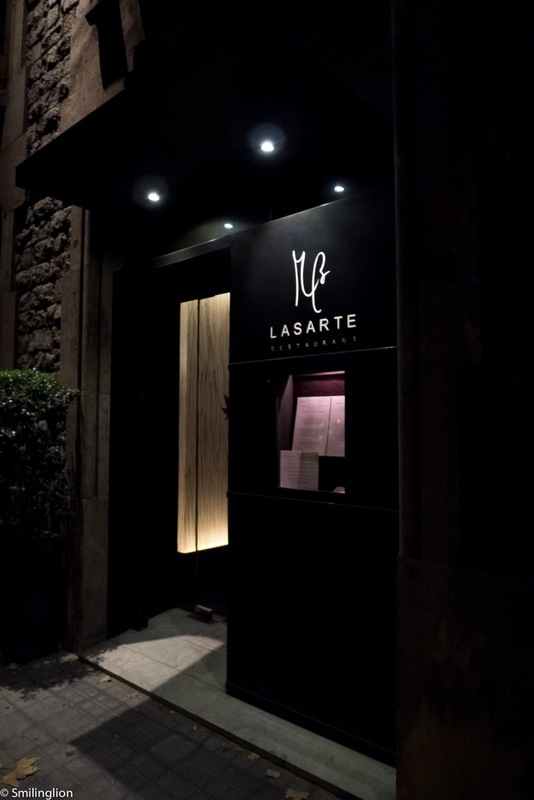 Lasarte is the 'second' restaurant of Martin Berasategui, an iconic Spanish chef whose eponymous restaurant in San Sebastian was where we had probably our best meal of 2012. 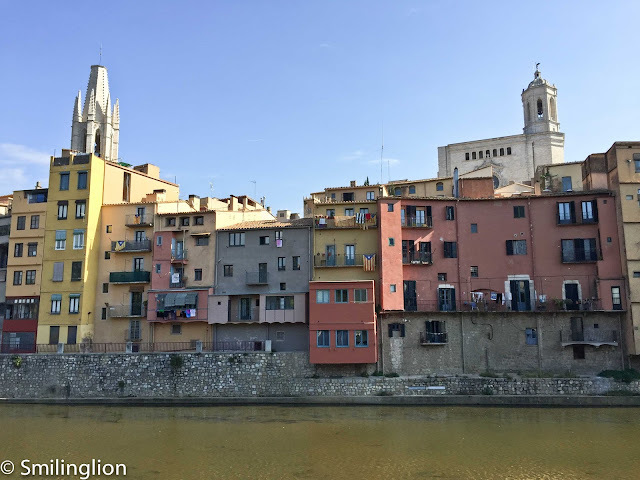 Named after the little town in San Sebastian where the flagship restaurant is located, it sits along the busy Passeig de Gracia and is adjacent to Hotel Condes. 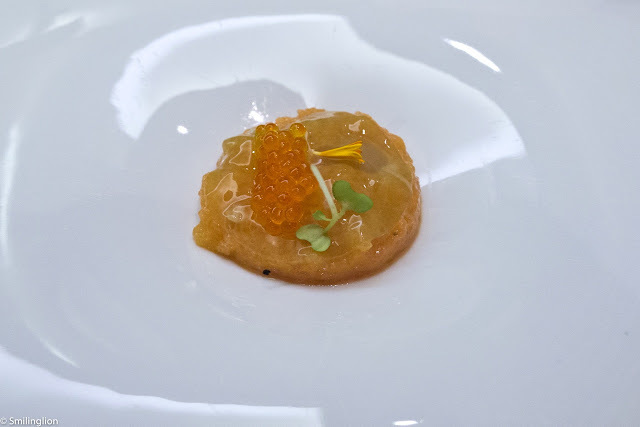 It has two Michelin stars in its own right but we were curious to see if it was a good standalone restaurant or a 'lite' version of Martin Berasategui (MB) in San Sebastian, very much like how we felt that Moments (based on our meal there) was a lesser mirror image of Sant Pau. 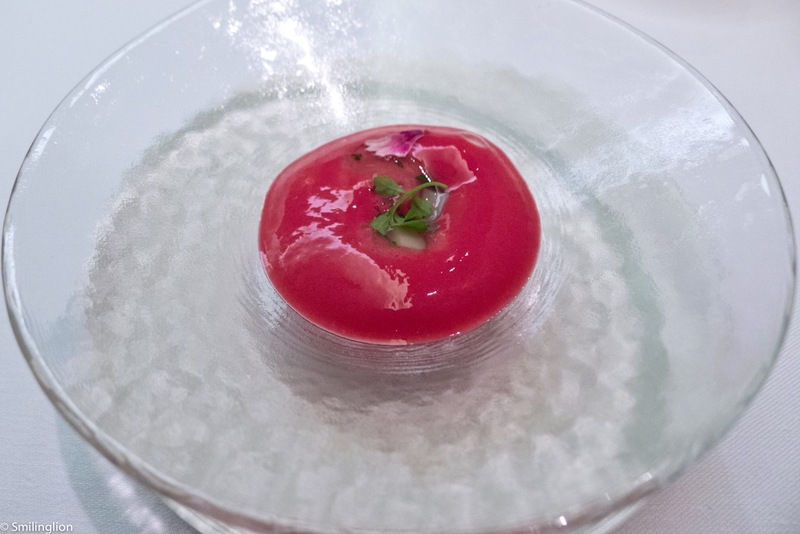 One thing we noticed straightway when we stepped into the restaurant was how formal it felt. The interior was one of quiet elegance and understated luxury, and the guests were rather well dressed (relative to the usual dress code of the diners in other fine dining restaurants in Barcelona, especially in the summer). It was also a rather old crowd, and we felt like the youngest diners there. 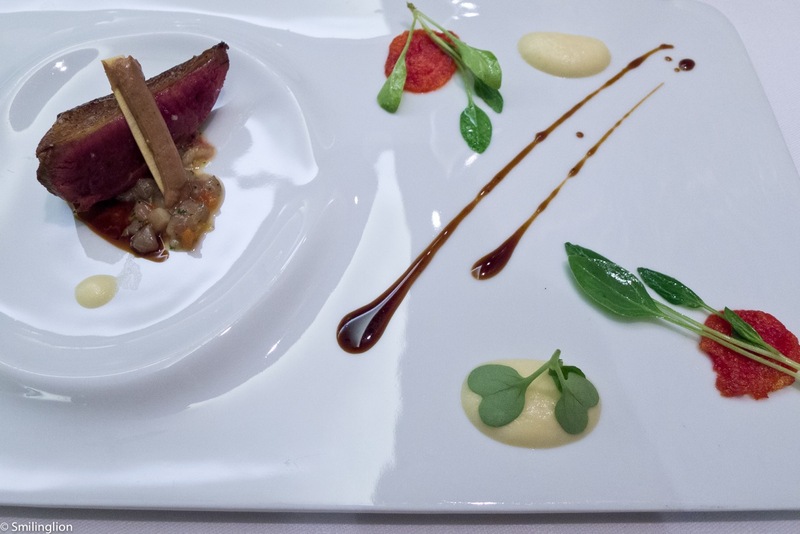 That said, the service throughout the night was excellent, and this reminded us strongly of our experience at MB where the service there was also standout (although MB felt slightly less formal compared to Lasarte). 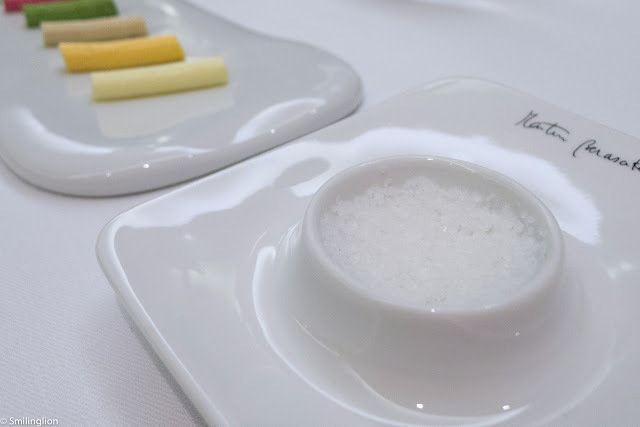 Five different flavours of butter (which included, in addition to the normal salted butter, beetroot, herb and mushroom butter) plus salt and olive oil were served with the bread basket. 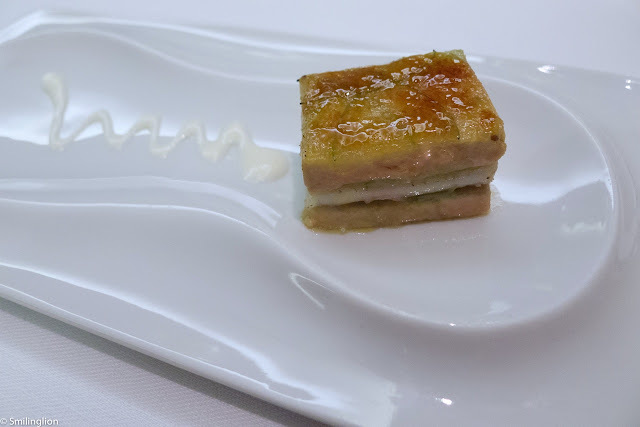 Millefeuille of smoked eel, foie gras, spring onions and green apple: As an amuse bouche, we were served one of our favourite dishes of MB (albeit in a smaller portion). This was a very nice touch. Tomato gazpacho with clams: The cold soup was quite interesting. It was cold, slightly sour yet went quite well with the clams at the bottom of the bowl. Trout tartare and orange and curd cucumber: This was another cold dish. It was quite a subtle dish and was very refreshing. 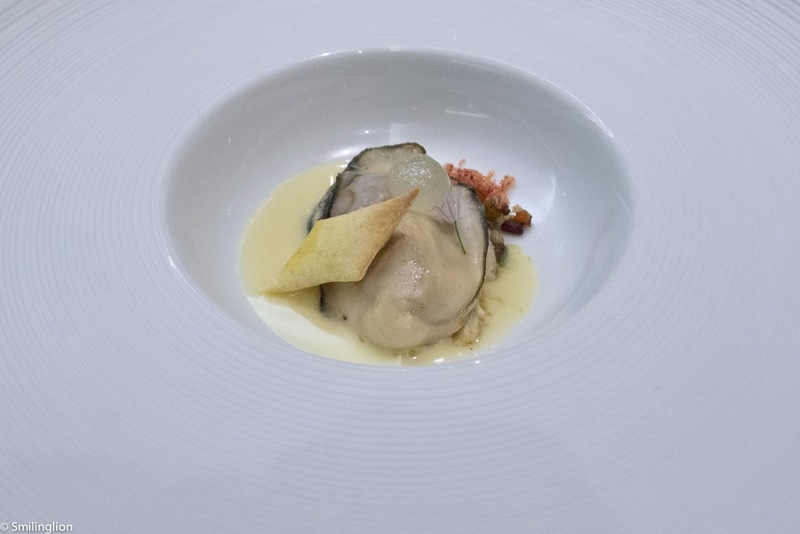 Lightly smoked oyster on the grill, soft cream of Figueres, small squid ragout and potato bread: This was very good. 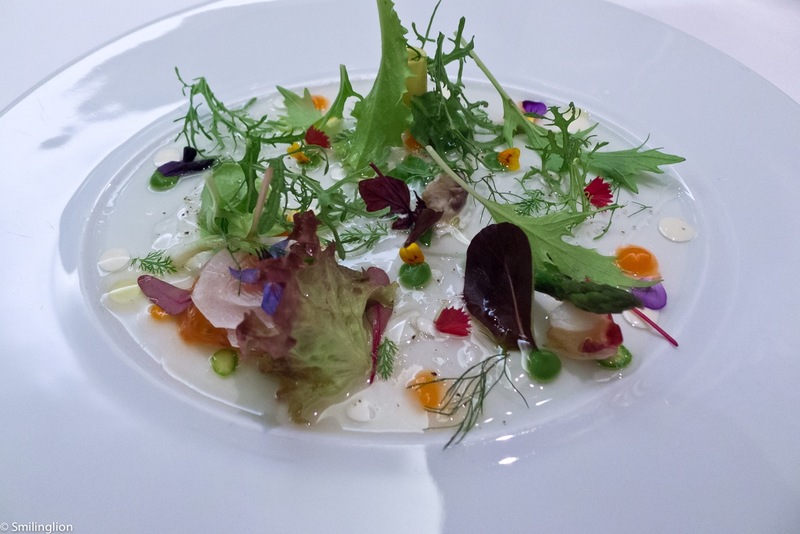 Vegetable leaves salad, herbs, sprouts and petals with lettuce cream: This was similar to something we had at MB. What we liked about this was the tasty stock which had the slightly gelatinous texture of egg white. 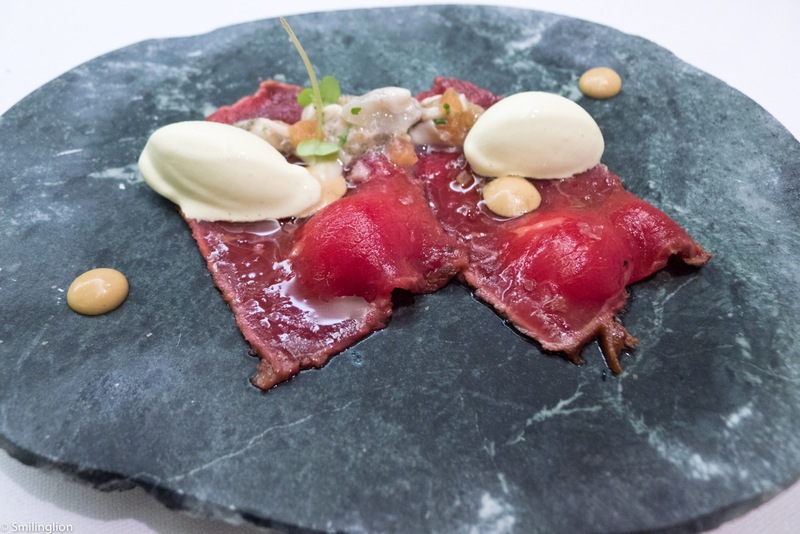 Tempered beef steak slices on foie gras curd, iodized salad and mustard ice cream: The beef was very lightly cooked such that it tasted more like beef tartare. The foie gras and mustard ice cream were delicious when eaten together with the beef. 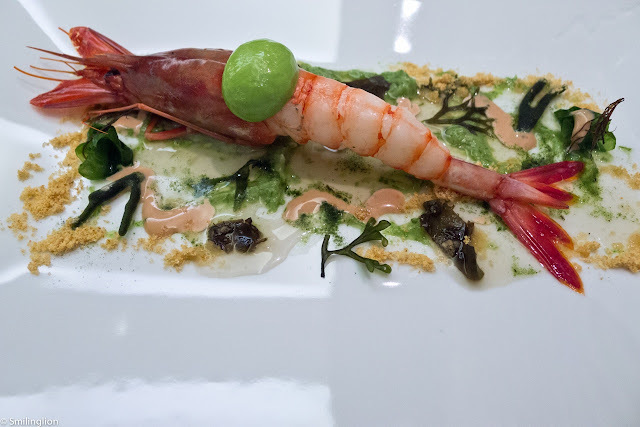 Red prawn on a seabed and fennel with its coral mayonnaise: The coral mayonnaise had seaweed which gave the prawn a taste and texture which was reminiscent of the sea. 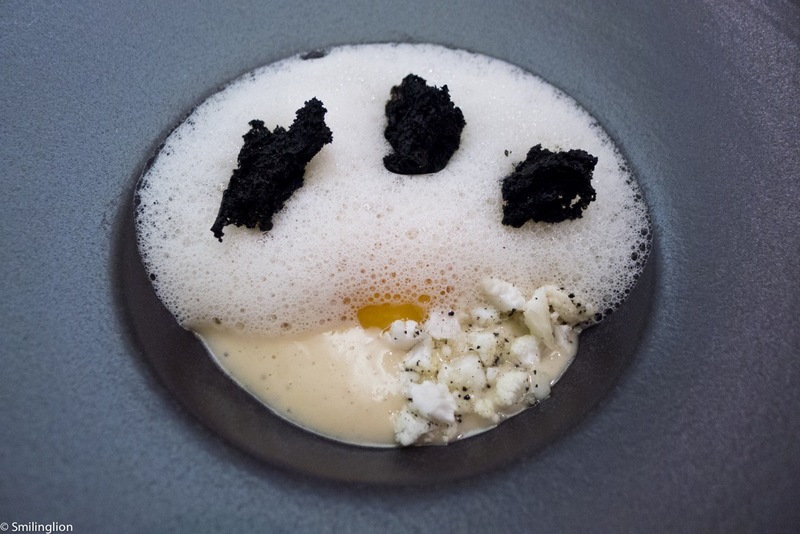 Home yolk with toasted butter, black truffle toast, cauliflower, crunchy black garlic with piment d'Espelette: Probably our favourite dish of the evening. It was creamy and the rich. Low-temperature cooked grouper fish settled on onions and paprika marmalade, braised endive, barnacles gelee and fried breadcrumbs: It was at this point where we started to feel really full and tired. Our jetlag had started to hit us quite badly during this meal. We had already stopped drinking our wine a few courses ago and were now struggling with our food. 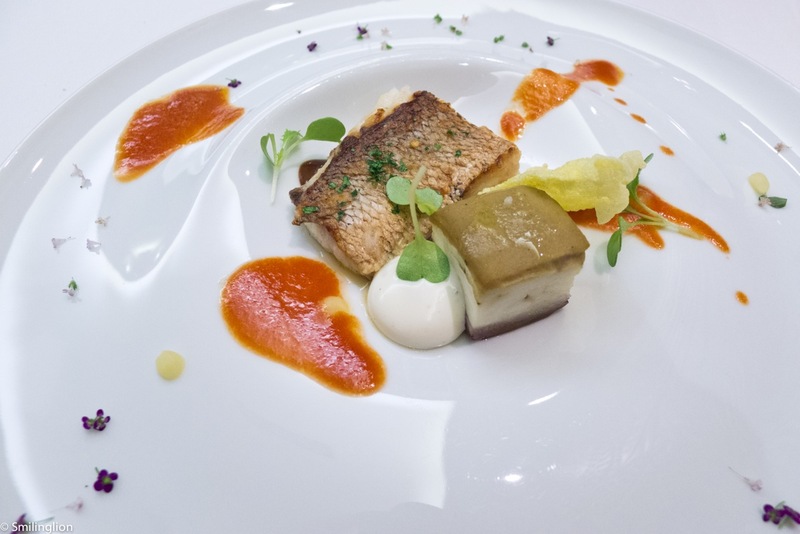 This fish course was good but other than that we couldn't remember much else about it. Roast pigeon, pork stewed, dry tomato and lemon, apple cream and interiors toast: The roast pigeon was the last main course and we could only take a bite of it. It was perfectly cooked and very tasty, but at that point we could eat no more. We had never 'abandoned' a meal at a fine dining restaurant before, and this would be our first time. Fortunately the service staff was very understanding and accommodating of our situation. We asked to skip dessert altogether, which was something totally out of character for us. To help with our digestion, we asked for some mint tea and they infused it at our table. The petit fours which they served with our tea were very good. In particular, we loved the hazelnut sweet which would melt in your mouth. Final Thoughts: Our impressions of Lasarte would ultimately be tainted by our jetlag and our inability to fully enjoy the meal. However, we had eaten enough to be very impressed with the quality and execution of the food. 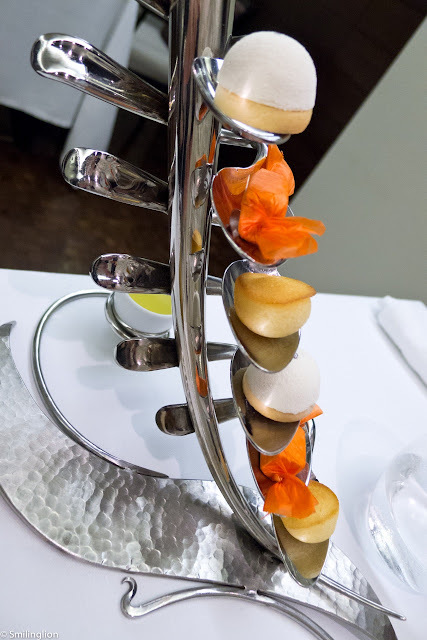 Many things about the food reminded us of Martin Berasategui but with a slant towards the french style. 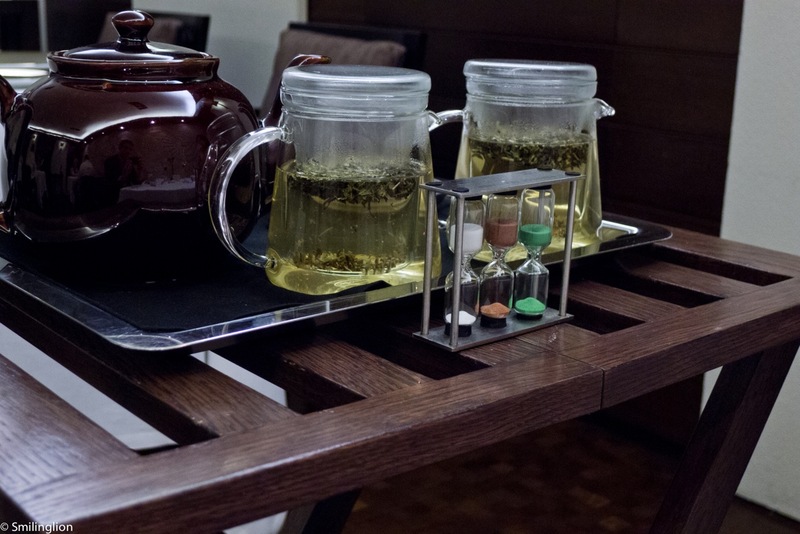 We were most impressed with the service. Throughout the night they were attentive and friendly, and despite our travails, they were patient and understanding. Though we did not ask for it, they even charged us only for the smaller menu despite the fact that we had gone for the grand menu. 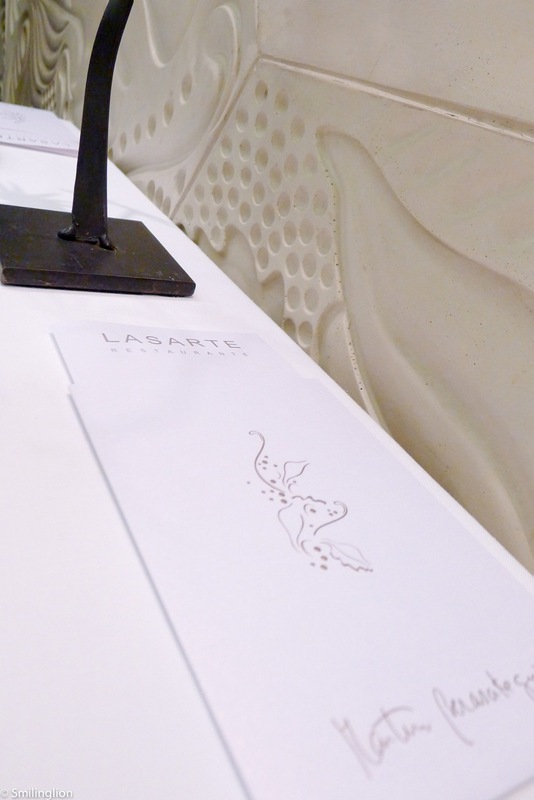 We owe it to ourselves to eat at Lasarte again.